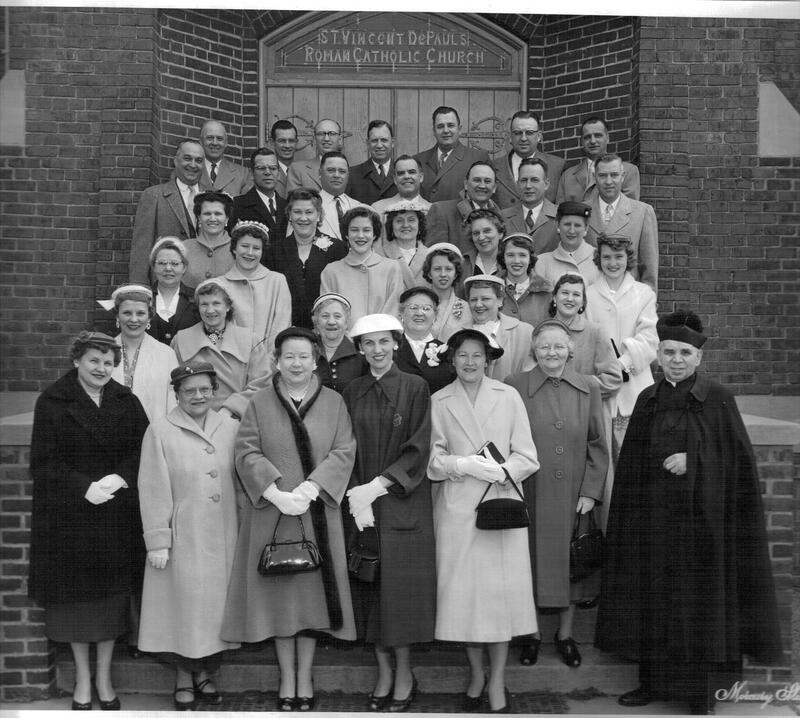 Photo of a group of church friends from the 1930s, published as an advertisement in the 1956 parish Golden Jubilee book. 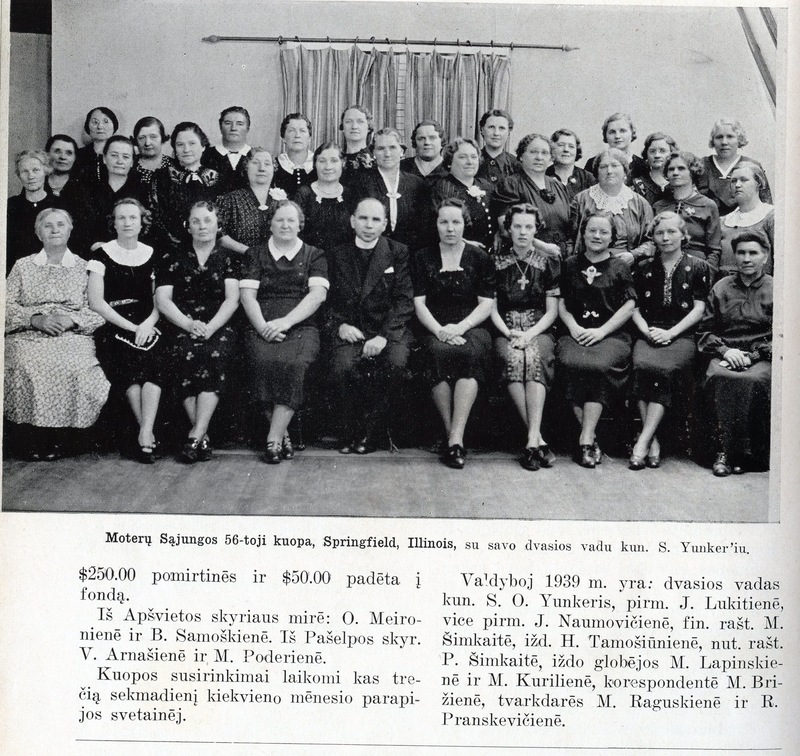 1930s or ’40s photo of the SVDP chapter of Alliance of Lithuanian Roman Catholic Women from a yearbook written entirely in Lithuanian. 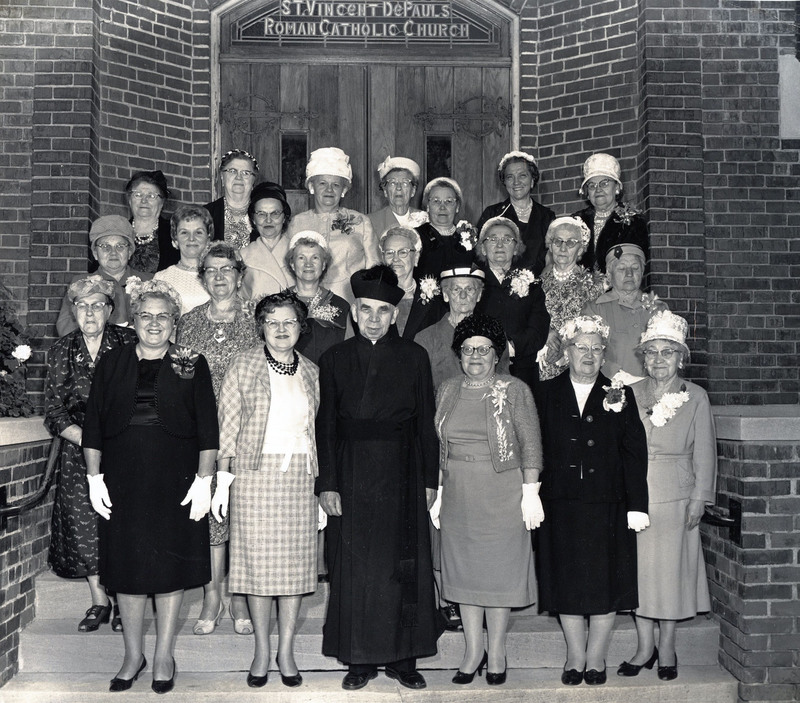 I have some IDs for the below Women’s Union members from St. Vincent de Paul Church: front row, left to right: mother of Margaret (Spudelis) Rodutsky, Margaret Rodutsky, Mrs. Urbas, Veronica (Stimburis) Shimkus, and third from end, Julia (Gedman) Lukitis, Mrs. Kupris, and unidentified woman. 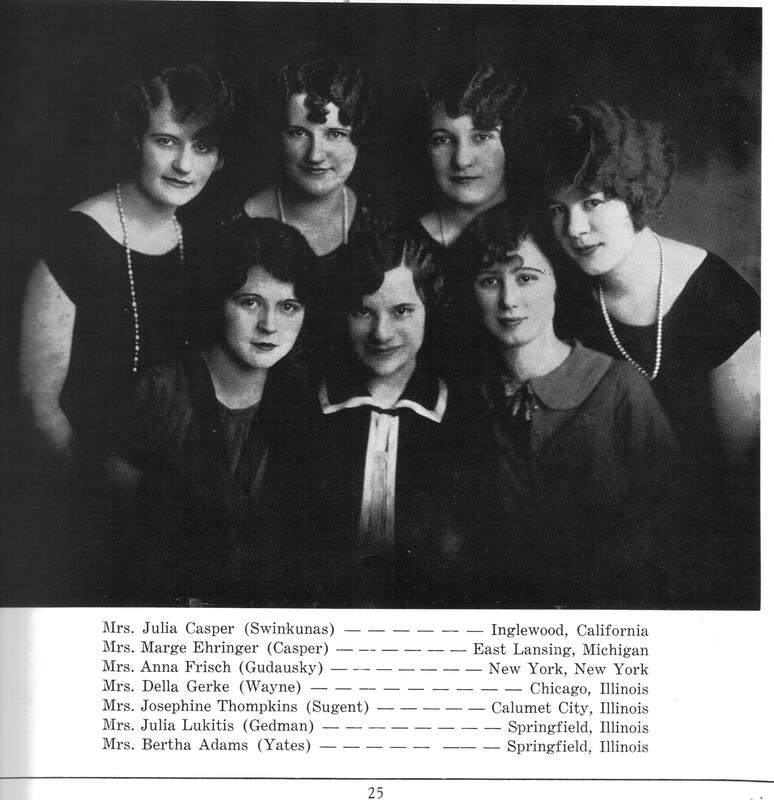 Back row: third from left is Mrs. Marchulones, #8 is Mrs. Zintellis, #9 is Mrs. Sugent, #14 is Mrs. Lapinski, #19 is Catherine (Gillette) Cooper. 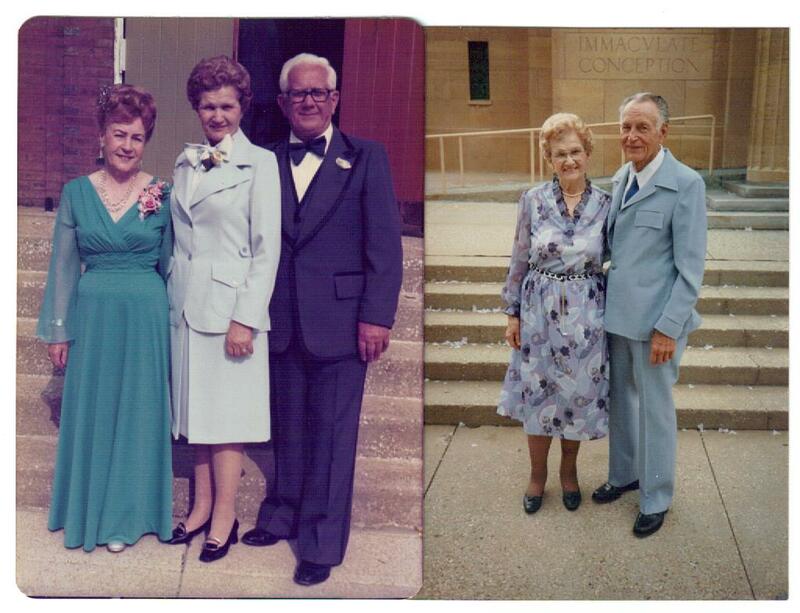 Top photo: Peter and Mary (Chernis) Urbanckas. 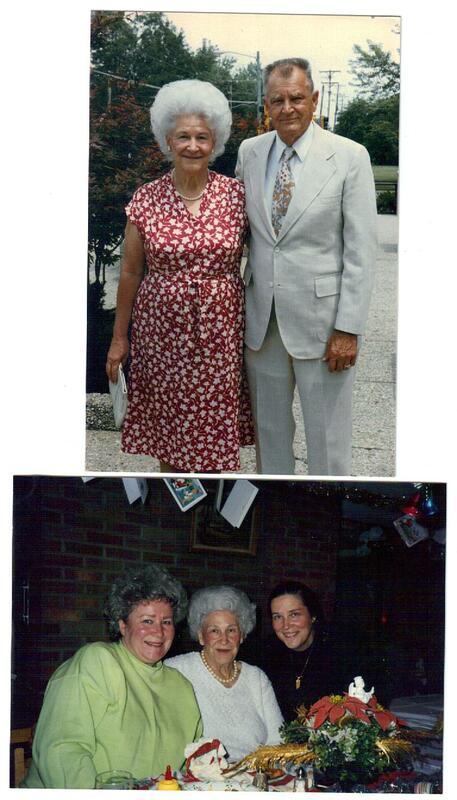 Bottom photo: Mary Urbanckas with daughters (l) Pat Mathews and Donna Frost. Left photo: from left, Mrs. Paulionis, Ann Urbanckas, Augie Paulionis. Right photo: Ann & Alfred Urbanckas. I had been searching for a college friend & fraternity brother (Mike Paulionis – Springfield IL) and discovered he is deceased. We attended Western IL U and were in TKE fraternity. We had same birth date (Sep 29) although mine was 1944. His dad Augie is in this picture whom I had met at their house in Chicago for dinner in 1966 or 67? His brother Veto also knew and would like to contact him or other relatives. Mike and I were very good friends, communicated for numerous years and then that stopped. We also lived in LA area in early 70’s when he opened his pizza store Numero Uno. The last time I had any contact with Mike was when he lived in AZ. Hi Tom! My name is also Michael Paulionis. My father was Veto Paulionis. Mike Paulionis was my uncle and godfather. I’m happy to hear you and he were such good friends. 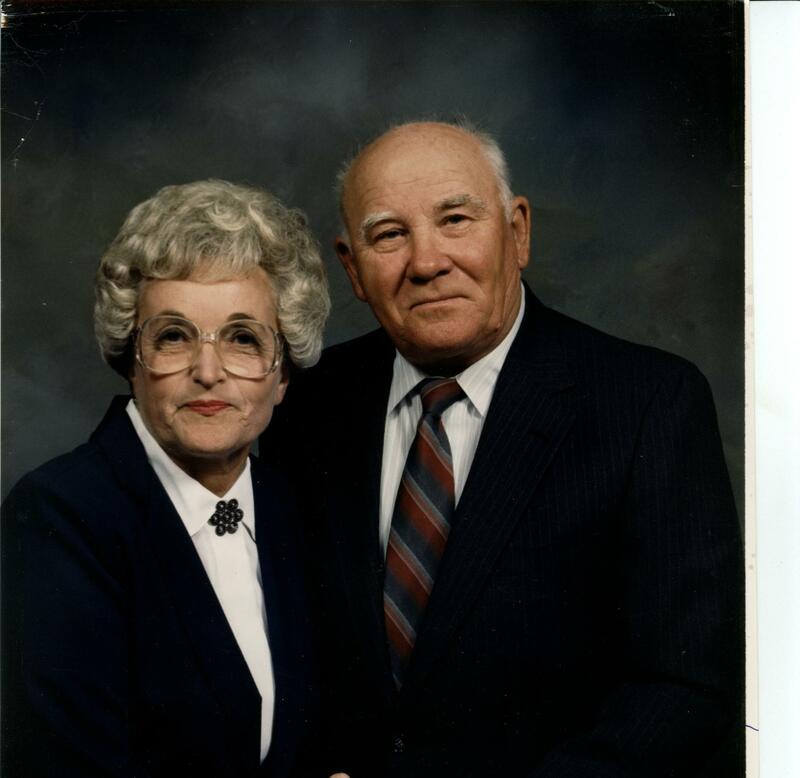 I didn’t know my uncle very well, but my mother has shared stories in the past about him. The pizza chain is one of the most interesting. I would be interested in any other memories you have of him. Thanks for posting!